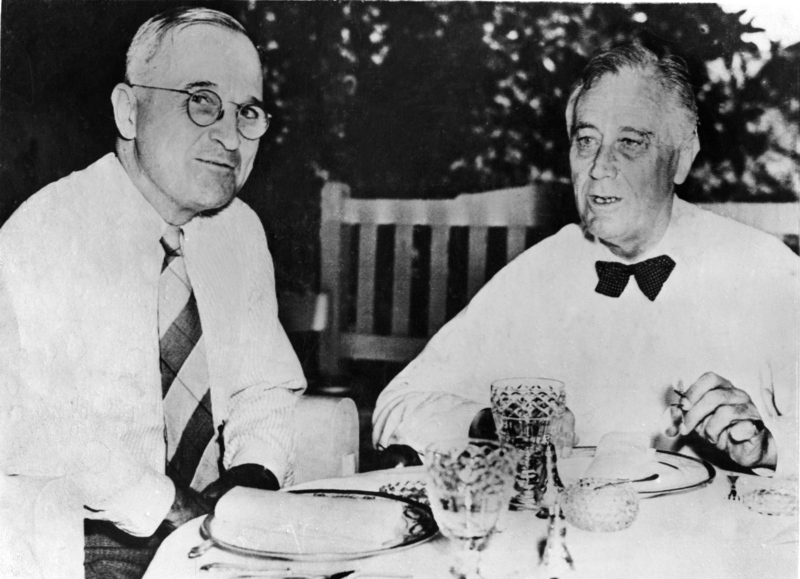 Restoring the Old-Fashioned Budget Virtue of…FDR and Truman?!? This is a column I never expected to write. That’s because I’m going to applaud Presidents Franklin Roosevelt and Harry Truman. This won’t be unconstrained applause, to be sure. 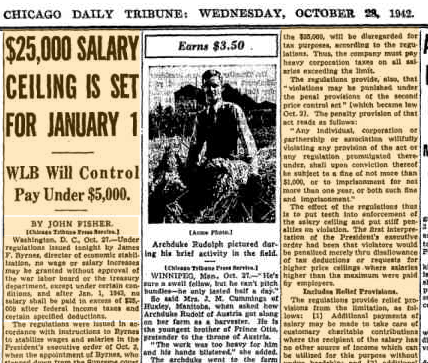 Roosevelt, after all, pursued awful policies that lengthened and deepened the economic misery of the 1930s. 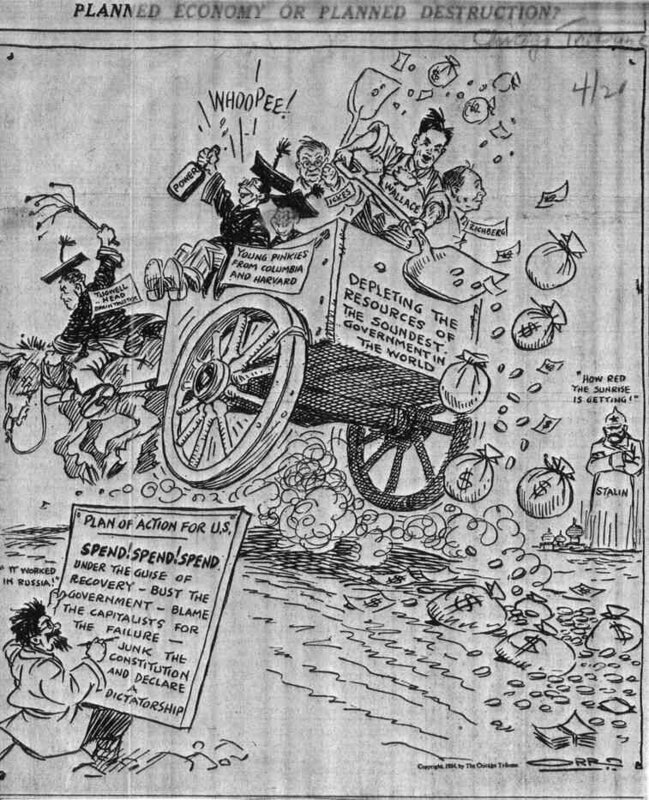 And, as you can see from this video, the “economic bill of rights” that he wanted after WWII was downright malicious. Truman, meanwhile, was a less consequential figure, but it’s worth noting that he wanted a restoration of the New Deal after WWII, which almost certainly would have hindered and perhaps even sabotaged the recovery. 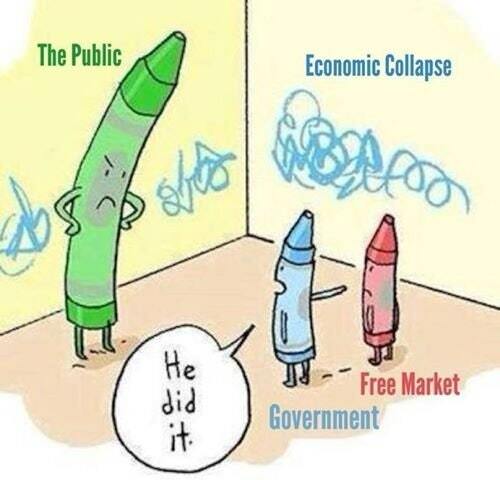 But just as very few policy makers are completely good, it’s also true that very few policy makers are totally bad. 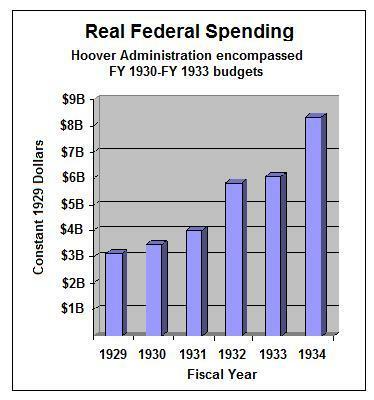 And a review of fiscal history reveals that FDR and Truman both deserve credit for restraining domestic spending during wartime. Here’s some of what I wrote for The Hill. I was specifically responding to the cranky notion, pursued by Bernie Sanders, the openly socialist Senator from Vermont, that there should be tax hikes on the rich to finance military operations overseas. 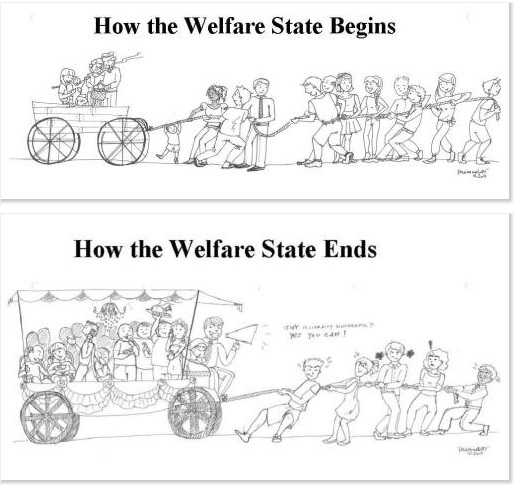 The idea has a certain perverse appeal to libertarians. 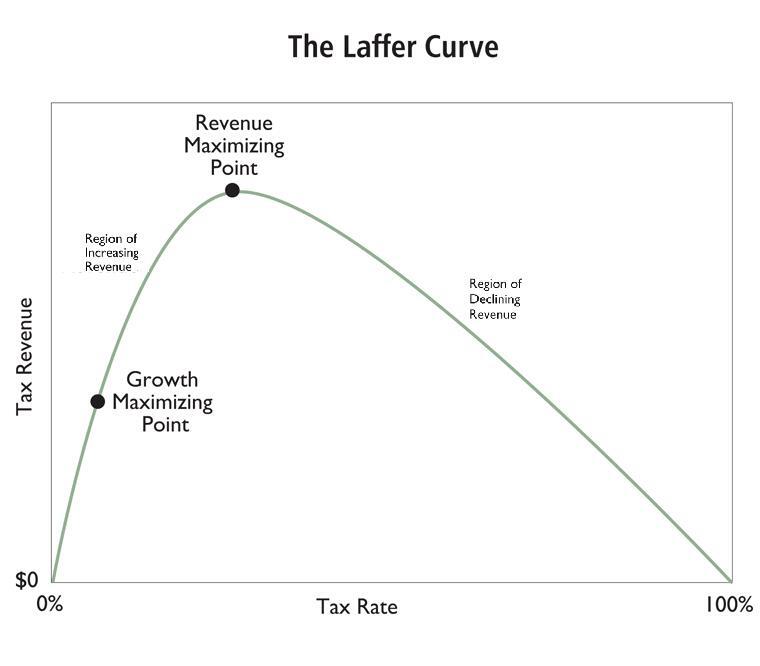 We don’t like nation-building and we don’t like punitive tax policy, so perhaps mixing them together would encourage Republicans to think twice (or thrice) before trying to remake the world. That’s why I suggest another approach, one that used to exist in our nation. …lawmakers would be well served to instead look on the spending side of the budget. …This may seem like a foreign concept in today’s Washington, but it actually was standard procedure at times in our history. 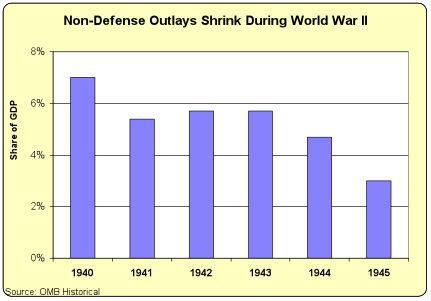 Consider, for instance, what happened to domestic spending when the nation entered World War II. As you see from this chart, these outlays fell significantly as a share of GDP. 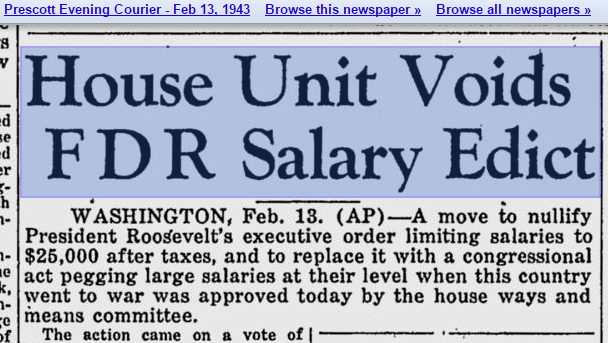 And this was while Roosevelt was in the White House! I note in the article that much of this improvement was the result of rising GDP, but the raw numbers from the OMB Historical Tables also show that nominal spending was constrained. The same thing happened during the Korean War. Once the conflict began and policy makers began funding the troops, they also put the brakes on domestic spending. Unfortunately, restraining domestic spending when military spending is rising is no longer the standard practice in Washington. I point out in the article that we got across-the-board profligacy under President Johnson. 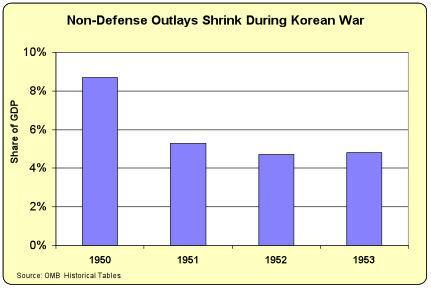 Reagan, by contrast, did reduce the burden of domestic spending when he boosted defense outlays to win the Cold War. But then we had a return to guns-and-butter spending last decade during the Bush years. Which led me to write this surreal passage. …we have two odd collections of bedfellows, with Presidents Franklin Roosevelt, Truman and Reagan in one camp vs. LBJ and Bush in the other camp. Though there’s only one good president mentioned in that excerpt if we’re grading overall records.